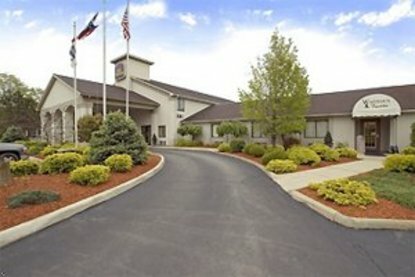 Stay at this award winning hotel located off of Interstate 80 in Youngstown, Ohio. The Best Western Meander Inn is conveniently located off of Interstate 80 just three miles from the Ohio Turnpike. This Youngstown hotel is only a few minutes drive from General Motors-Lordstown and the Chevy Center. Guests will enjoy a variety of nearby golfing and shopping options. Choose a newly remodeled guest room or a luxurious whirlpool room. Enjoy dinner and cocktails at Winston's Restaurant and Lounge, found on the hotel premises. Other hotel amenities include a complimentary continental breakfast, meeting and banquet facilities, outdoor pool and outdoor sport court. Pets are welcome The Best Western Meander Inn is near many local Youngstown, Ohio attractions including the Butler Art Museum, the Pro Football Museum and the Rock and University are within 10 miles of the hotel. Sports enthusiasts will enjoy being an hour's drive from the Cleveland Brown's Stadium and Jacob's Field, home of the Cleveland Indians. Make an online reservation today and save at the Best Western Meander Inn in Youngstown, Ohio.